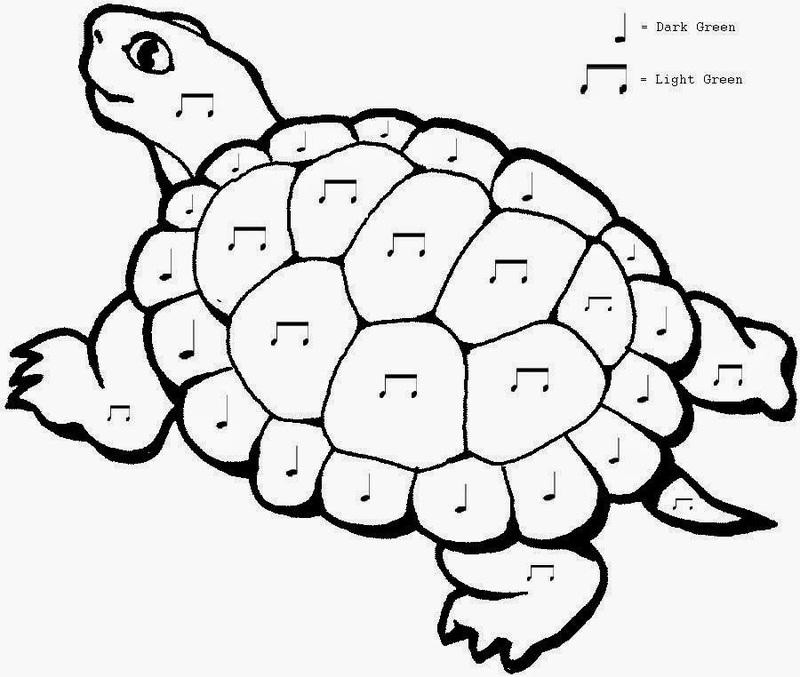 When I was student teaching a general music class, I could not find a color by musical note coloring page to accompany a first grade listening assignment of Saint-Saens Carnival of the Animals: Tortoise, so I made my own! I shared this on Pinterest a while ago, and it was quite popular, so I will share it here. Enjoy!